Some of your favorite soap stars took to social media to honor the leadership, life, and legacy of an American icon. Dr. Martin Luther King, Jr.’s fight for civil rights for African-Americans inspired them to post reminders of the fruits of his struggle and the need to continue it. No one has come to symbolize the struggle for equal rights for all Americans like Dr. Martin Luther King, Jr. His commitment to nonviolent social action has inspired people for decades, and soap stars are no different. On this day set aside for reflecting on the dream of racial justice Dr. King spoke so eloquently of, soap stars took to Instagram to thank him. They also reminded us of why Americans must remain vigilant in seeing that all Americans share the same rights and liberties. Scroll down to see some of what daytime’s finest posted on the photo sharing site today. 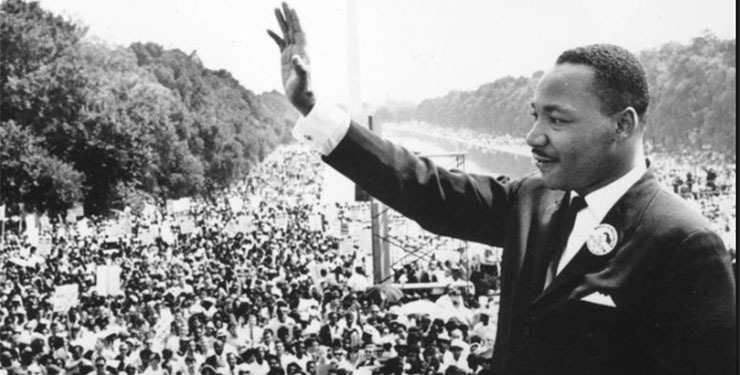 An assassin gunned down Dr. King, but he has continued to inspire fights for social justice. “One Life to Live” broke new ground upon its debut in 1968 with an interracial romance. Today, the notable element of Maya Avant (Karla Mosley) and Eric Forrester’s (Jacob Young) relationship is that Maya is transgendered, not that she is African-American and he is white. We’ve come a long way. But let’s keep our eyes on the prize and not rest until all Americans are free at last, as Dr. King said.